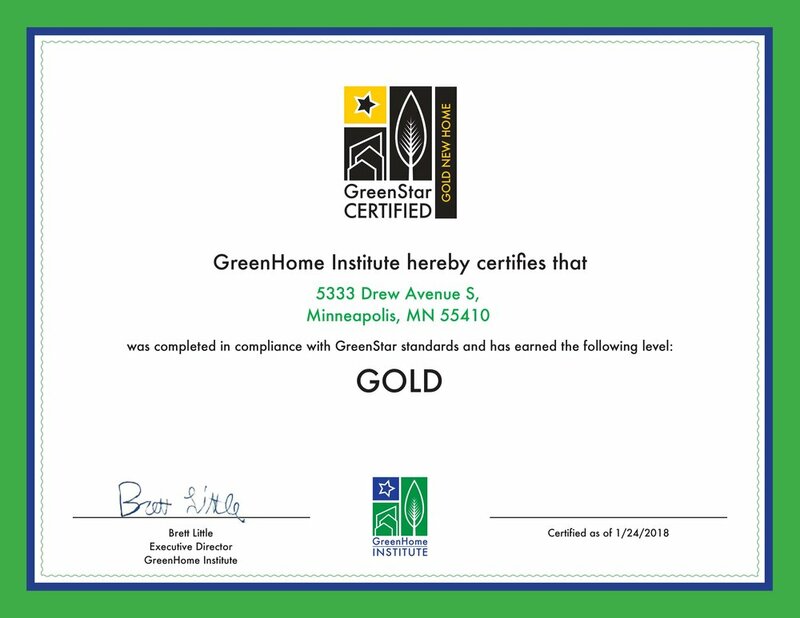 The house was certified Gold by the GreenHome Institute! The third party rater was Pat O'Malley of Building Knowledge. We're very happy to have achieved this level, as we made significant efforts to build responsibly.